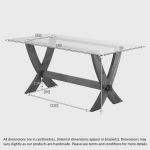 Reflection combines the warmth and solid strength of beautiful rustic oak with a light-reflecting, 10mm thick glass surface. 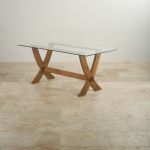 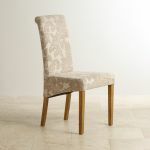 Make the most of your dining area with this contemporary and sophisticated dining set, featuring 6 scroll-backed chairs. 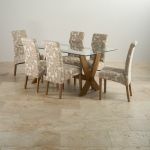 Fully upholstered, the chairs’ legs match the rustic base of the table. 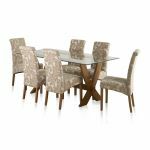 If you’d like to see different chairs, have a look at our dining set builder and customise your dining set to suit your home. 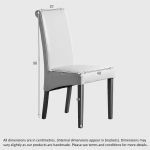 Make savings when you buy the table and dining chairs at the same time.